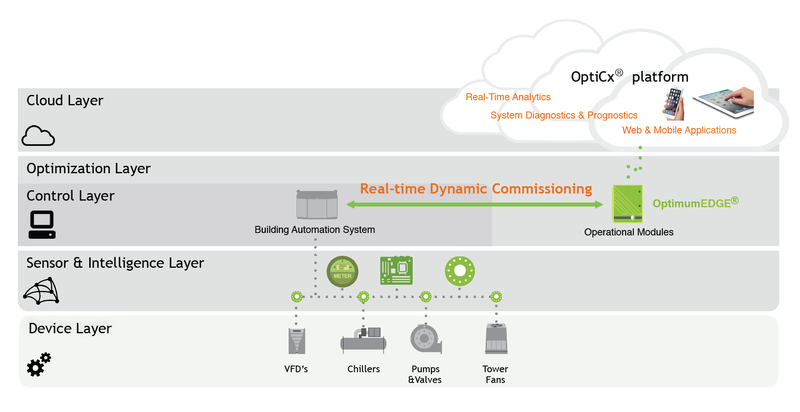 OptimumEDGE is a patented, turnkey software solution which significantly reduces energy costs in water-cooled chilled water systems with up to 3 chillers and a combined cooling capacity of between 400 and 3,000 tons. OptimumEDGE is based on algorithms used safely in our patented, flagship product, OptimumLOOP® to reduce energy consumption by an average of 15-20%. 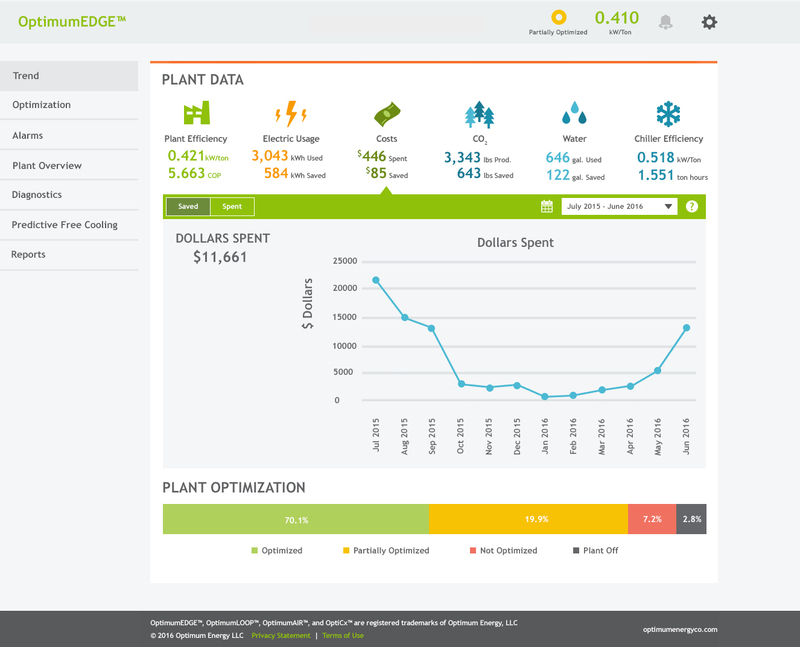 OptimumEDGE provides significant energy savings and improves operational efficiency. Sold and installed by Optimum Energy authorized resellers, it uses BACnet® or Modbus protocols to interface with any BAS or PLC. OptimumEDGE delivers data to the secure OptiCx® cloud-hosted platform which you can access anytime, anywhere using your mobile phone or web browser. 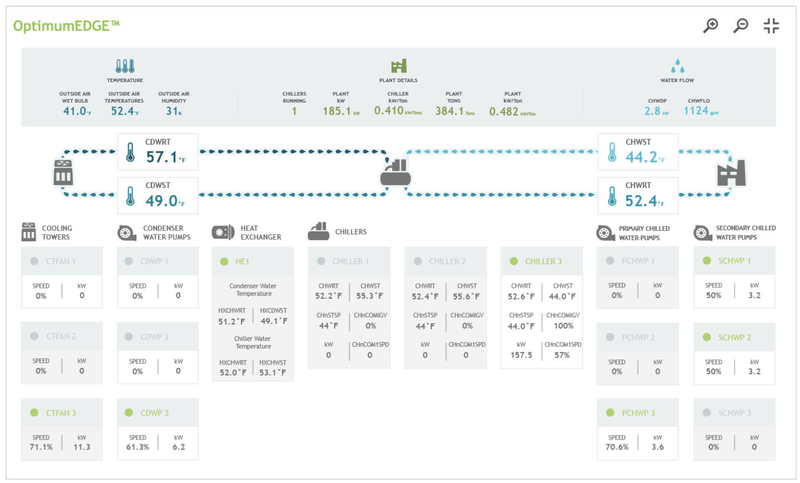 The intuitive dashboard provides real time, chiller plant performance monitoring, trending, data rationalization and alarms from hundreds of data points which are continuously trended.